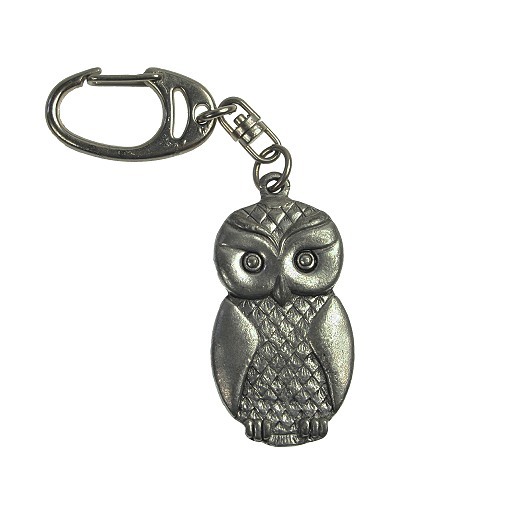 A sturdy owl keyring made from pewter. Lots of detail on both sides. Size of owl approximately 2" (5cm). Provided with a suedette drawstring pouch. An attractive owl bag with dozens of colourful perched owls on a black canvas background. An attractive owl design clip board with pencil and sheets of paper for writing those all important shopping lists.